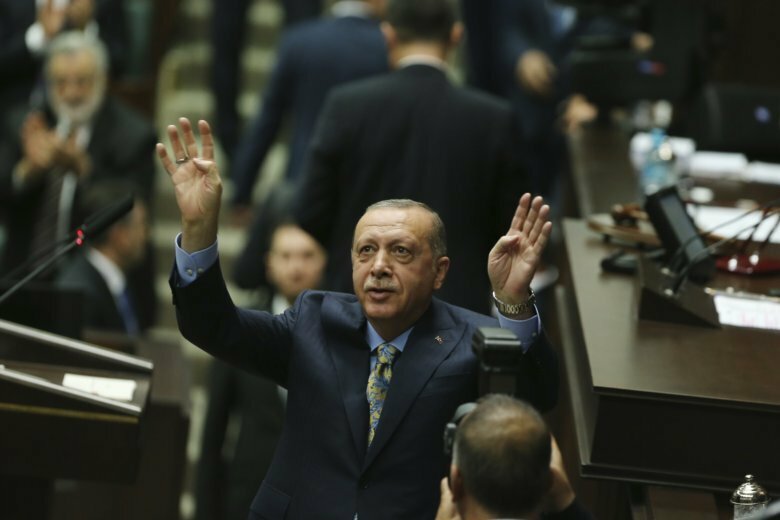 Turkey’s president says Jamal Khashoggi was the victim of a “savage murder.” He added that Saudi authorities must reveal, regardless of rank, who planned the killing and that they must be tried in Turkish courts. Saudi Arabia’s annual foreign investment gathering has seen many top business leaders and officials drop out over Khashoggi’s slaying. Trump administration policies are starting to have an effect on struggling, shrinking cities like Buffalo, New York, which depends on such newcomers to invigorate its economy. Many Central Americans trekking toward the U.S. border bristle at suggestions there could be “terrorists” among them. China opens the world’s longest sea-crossing bridge — 34 miles — linking Hong Kong to the mainland, a feat of engineering carrying immense economic and political significance. Authorities rush to evacuate low-lying areas and set up shelters as the “extremely dangerous” Category 4 hurricane heads toward Mexico’s Pacific coast. Simple math and very long odds will determine who will capture the $1.6 billion Mega Millions jackpot and the $620 million Powerball prize. Variation in gender identity is a normal part of human diversity, doctors and scientists say, outlining how to provide supportive medical care for transgender youth. The microblogging site removes some accounts thought to be used to circumvent a ban on the conspiracy-monger and Infowars. Boston’s Chris Sale is slated to toss the first pitch of the World Series as the favored Red Sox take on the Dodgers, seeking their first title since 1988.